HELL'S KITCHEN, Manhattan (WABC) -- Target announced it is opening yet another Manhattan store, this time in Hell's Kitchen. The store at West 44th and 10th Avenue will be the company's fourth store in Manhattan, as it moves forward with a new compact store design it calls "flexbile format." This 29,000-square foot store is expected to open by summer 2019. Above the store will be new residential condominiums. The retail chain opened its first Manhattan flexible-format store in Tribeca October 5. The store, located at the corner of Greenwich and Murray streets, is a bit larger at 45,000 square feet. Other smaller stores are in the works, too. An East Village store is currently under construction on East 14th Street. It's expected to open in 2018. Target said urban areas like New York City are a priority for the company. 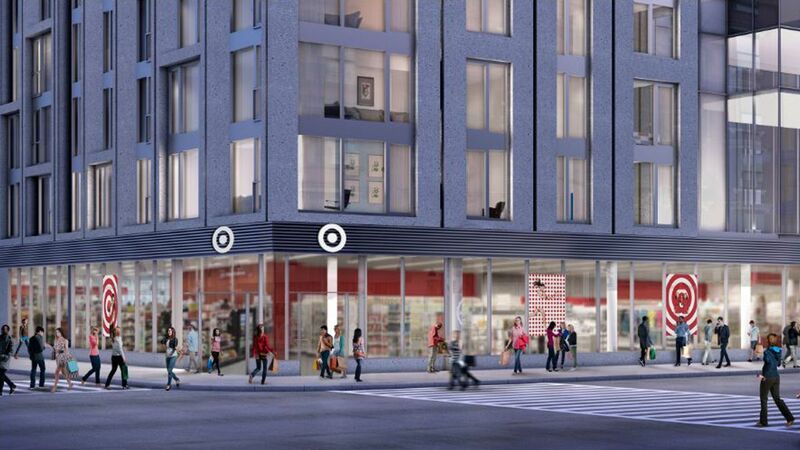 "We want to make it easier for guests in New York to shop at Target, so we're focused on flexible-format store growth in Manhattan," said Mark Schindele, senior vice president of properties at Target. "We're pleased to be part of this terrific residential development near Times Square and the Theater District, and we look forward to serving more guests in Manhattan with this new store."